I was devastated to find out earlier this evening from my friend Mr. Schu that Ivan the gorilla passed away today. It is especially sad for me because my husband and I are on vacation in Florida right now and were considering stopping at Zoo Atlanta to see him on our way home to Michigan. 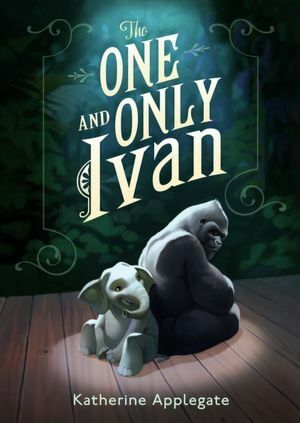 If you have not read The One and Only Ivan yet, I highly encourage you to do so. It's right up there with Charlotte's Web and A Wrinkle in Time in importance to children's literature's literature because it is a book that will stand the test of time. Rest in peace dear Ivan. You will be dearly missed and your memory will live on in your story. It's such sad news. I haven't read the book yet... I'm sort of afraid of the emotional impact, to be honest! It is a sad story but it is also hopeful. Don't let the sad parts prevent you from reading it. I'm telling you... you need to read WONDER and THE ONE AND ONLY IVAN before the ALA awards are announced in January. Both of them are going to be receiving awards. I would be willing to bet on it.